Just a quick post for you.. Those of you who are regular visitors of my website will know I’m a big fan of Social Hiking. In all of my recent walking blog posts I have included an embedded map that I have created on the move. I’ve been able to share my adventures using Social Hiking by posting Location Beacons with a very handy iPhone application called ViewRanger. ViewRanger is a great little tool that uses your smartphones GPS receiver and turns it into a fully functional digital mapping Swiss Army Knife. I’ve been using ViewRanger for around a year now and I’ve been really impressed with its simplicity, stability and extendibility. I used it to plot my West Highland Way adventure back in May last year and have used it on many walks in and around the Peak District. ViewRanger enables you to plot routes, record tracks, buy Ordnance Survey base maps, create POI’s, share your location with “Buddy Beacon” and many many other things. I’ve recently purchased the Ordnance Survey maps for the Peak District and have been having a go at planning some routes. 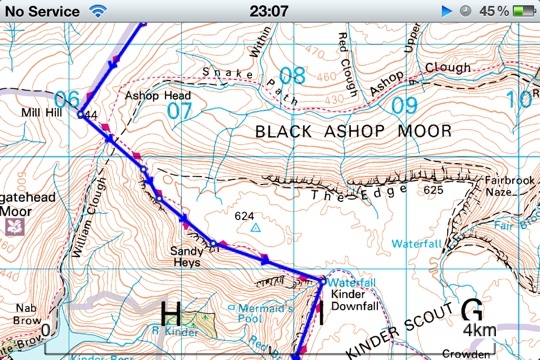 The route I plotted this evening is a mammoth 50 mile trek around the Dark Peak that will be a 2-3 Day wild camping adventure. I created the entire route in the ViewRanger app on my iPhone and was very impressed with how easy it was to do. 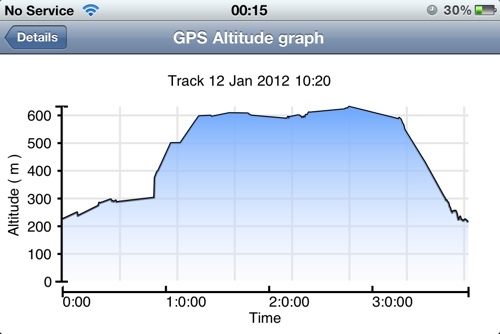 Until now I’d been plotting routes on the ViewRanger website and then syncing them to the app. In the past I have used a handful of other iPhone applications for mapping and track recording while out walking, In my eyes none of them come close to ViewRanger. As I mentioned earlier the simplicity and the fact you can purchase Ordnance Survey maps have made it stand out from the crowd. I have also installed ViewRanger on my iPad and it looks stunning on there too. Obviously I would suggest that you take a map and compass with you as backup when out walking, I always do as you can never be to careful. However.. If you are looking for a mapping & navigation system for your IOS, Android or Symbian smartphone, then look no further than ViewRanger. 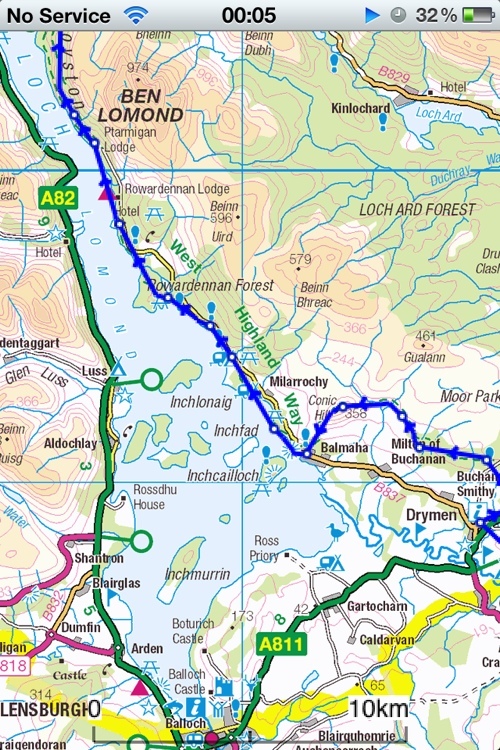 I started using ViewRanger free maps but found them tedious to download and didn’t want to buy OS maps. After trying several others, I came across free Cartograph Maps 2 Lite which can use free Openandro Maps which cover the planet. You can download e.g. the whole of UK, taking about 1GB storage, with a single click. To unlock recording costs a one-off £5. I’m using an iPhone & iPad. If ViewRanger is the RollsRoyce then I’d put Cartograph at BMW. My tip: I prefer the Tiramisu style to the Elevate or Voluntary styles but you can have all 3 for free. Good review. 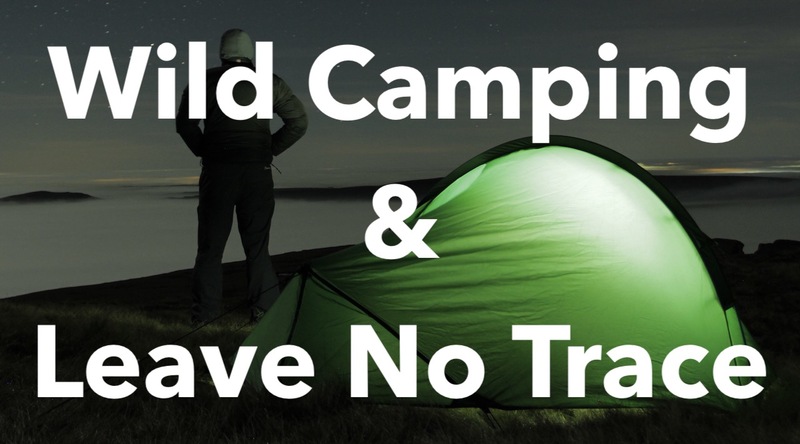 As an update is still your number one app for mountain trekking?